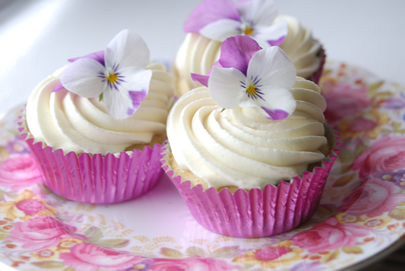 We make fairy cakes in London, which are more delicate and smaller than the usual American cupcake. They are little bites of rich intense pleasure – pure ingredients to savour like Belgian Chocolate, Madagascan Vanilla and Fresh Raspberries – no mounds of sickly sweet sugar and butter icing for us. 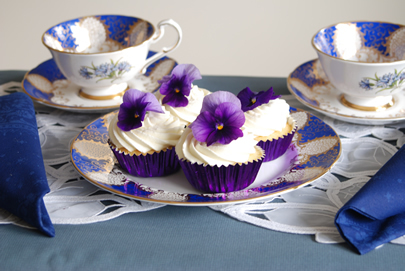 We are proud to provide the most delicious fairy cakes London has to offer. The size is 2¼” diameter at the top and approx. 1” high. 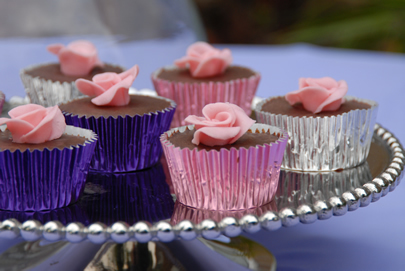 The chocolate fairy cake selection is a chocoholic’s delight crammed full of chocolate from start to finish. 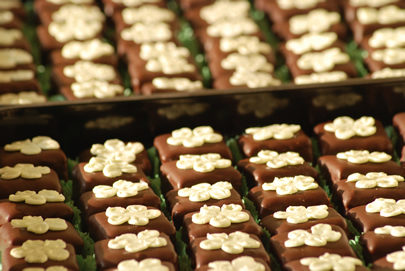 Sponges are made with chocolate – not just cocoa powder, icing and fillings are made with Belgian chocolate and the decorations are all chocolate based too. A range of fairy cakes in flavours that delight. Light in texture yet big on taste. Great ingredients that make great products. 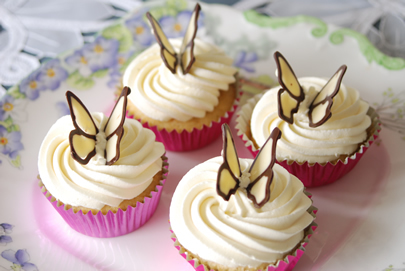 Fairy cakes in London have never tasted so delicious!